Gareth works at the Institute for Security Studies (ISS) which he joined in January 2010. The ISS is an independent African authoritative research, policy and training organisation working to enhance human security in Africa (See www.issafrica.org). He currently heads the Crime and Justice Programe, which works to inform government policy and promote public awareness about effective responses to violence, crime and corruption. This includes undertaking research to promote effective violence prevention initiatives, and develop a better understanding of public violence and improving the functioning of the criminal justice system (See https://issafrica.org/crimehub/). He also currently serves on the independent panel appointed by the Cabinet to reform Public Order Policing in South Africa based on the Marikana Commission recommendations. Between 2006 and 2009 he was the Policy Advisor and Special Projects Manager to the Gauteng Provincial Minister (MEC) for Community Safety. His responsibilities included developing the Gauteng Safety Strategy 2006 – 2014 and the Gauteng Aggravated Robbery Strategy 2009 – 2011 which contributed to a reduction in robberies in the province. He also established the Gauteng Information on Police Performance System (GIPPS), which won a Government Service Excellence Award in 2009. Prior to his work in government, Gareth was a Senior Project Manager in the Criminal Justice Programme at the Centre for the Study of Violence and Reconciliation (CSVR). His key research focus area was on promoting integrity and tackling corruption in the SAPS. Before joining CSVR, Gareth spent three years working as a Project Manager at the Institute for Democracy in South Africa (IDASA). Gareth has also worked as a consultant for a number of government and international donor agencies and served on a National Task Team established by the Department of Justice to set up the country’s first National Witness Protection Programme in 1996. Gareth publishes both locally and internationally on issues related to his areas of work. 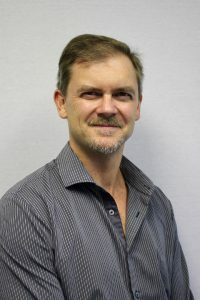 Gareth holds a Masters Degree in Public and Development Management (MM-P&DM) from the University of the Witwatersrand, a Post-Graduate Diploma in Applied Social Science Research Methodology from the University of Stellenbosch, an Honours Degree in Political Studies, and a Bachelor Degree in Social Sciences, both from the University of Cape Town. John McNeill has extensive experience of criminal justice, governance, accountability, complaints handling and human rights. He was a Probation Officer, and a senior official in the Northern Ireland Prison Service; a Governor in the Scottish Prison Service (SPS); Chief Executive of SACRO; and a senior official in SPS Headquarters responsible for regimes and healthcare. Following a period on its Board he developed a Convention compliant approach to managing risk, and helped establish the Risk Management Authority, a body that has influenced practice internationally. Other activities include numerous non-executive positions in national and international non-governmental organisations, improving their governance and performance. Since his ‘retirement’ in July 2005 John has held a range of Ministerial and Parliamentary appointments - the Risk Management Authority for Scotland; the Civil Nuclear Police Authority; the Parole Board for England and Wales; the Probation Board Northern Ireland; and the Ministry of Defence Service Complaints Panel. He was one of the first Human Rights Commissioners appointed by the Scottish Parliament. Following his tenure as Police Complaints Commissioner for Scotland he was appointed the first Police Investigations and Review Commissioner in April 2013 with oversight of all policing bodies operating in Scotland. John studied at Queen’s University Belfast, the Open University, the University of Edinburgh, the University of Strathclyde, and at Cambridge University’s Institute of Criminology as a Cropwood Fellow. He holds degrees in Arts, Criminology, Legal Studies and Human Rights. He is a Visiting Professor at the University of Ulster; an Honorary Professor at Glasgow Caledonian University; an Honorary Professor at Queen Margaret’s University Edinburgh; and an Associate of the Scottish Institute for Policing Research, advising on accountability in policing bodies. John was also an Honorary Professor at the University of Sheffield, a Visiting Professor at the University of Chester, a Fellow of the Institute of Directors and a Fellow of the Chartered Institute of Management. Currently, John reviews complaints delegated by the Defence Council to the Army, Air and Admiralty Boards. Associated Director of AFCEA International and Regional Vice President of AFCEA International for Mediterranean and Black Sea Region. Maria Mekri is the Executive Director of SaferGlobe, Finland’s leading think tank on peace and security as well as the Conceptual Framework Manager of the H2020 funded IECEU-project (Improving the Effectiveness of Capabilities in EU Conflict Prevention). For IECEU, SaferGlobe developed a method for comparative study of crisis management operations and missions, which was used in a comparative analysis of the effectiveness of 10 crisis management operations and missions in the spring of 2017. Maria Mekri holds an MPhil of International Relations from Cambridge University, a BA in Politics and Fine Arts from Brandeis University and an MBA from HaagaHelia University of Applied Sciences. Mekri has been trained in EU civilian crisis management (EU Concept Core Course in Civilian Crisis Management) and peace mediation (CSDP Mediation Course, ESDC/ Maynooth & Specialisation Course Negotiation and Mediation, Clingendael/ENTRi). In addition to expertise on a wide range of topics related to peace and security, Maria Mekri has years of management experience, 20+ years of academic experience in international relations and 10+ years of experience in teaching in both business and academic environments. She has a keen interest in West Africa, particularly Liberia, and has worked in Liberia for the Results Focused Transitional Framework Implementation and Monitoring Committee (RIMCO). 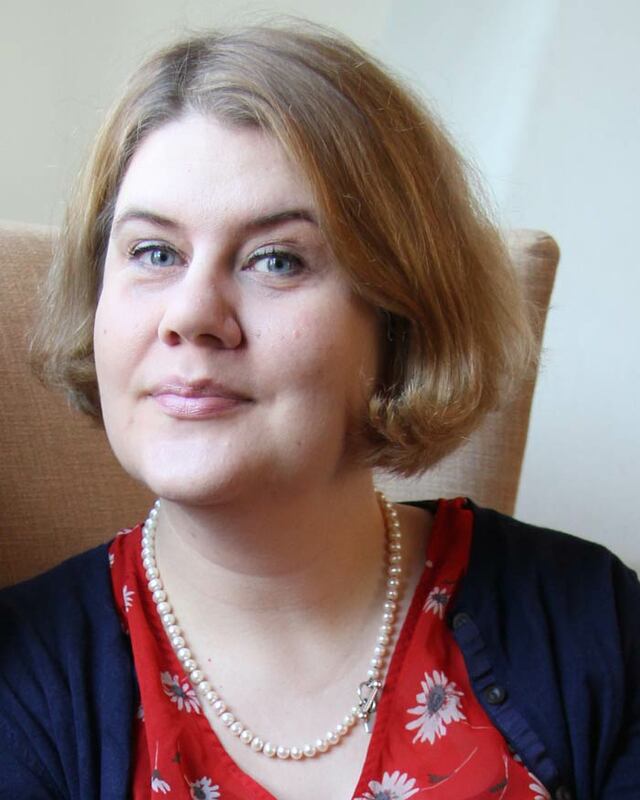 She is a vice expert member of the Parliamentary Finnish Development Policy Committee, a member of the Finnish Foreign Ministry led Group on Peace Mediation, on the advisory board of GAP (Gaming for Peace) and a member of the Phoenix Peacebuilding Evaluation Network. Mark Reber is a former member of the Royal Canadian Mounted Police with over 20 years professional experience in policing and security sector reform. His initial work was in the RCMP’s Internal Affairs Branch on internal disciplinary and conflict of interest investigations, public complaints and anti-corruption. He then worked as an Executive Officer to a number of senior RCMP officers, and subsequently managed and led organizational change and renewal initiatives in areas including strategic planning, performance management and police labour relations. Prior to leaving the RCMP Mark was seconded to a number of international policing oversight agencies, initially for five years as Chief of Staff to the Oversight Commissioner for Policing Reform in Northern Ireland, and a subsequent eighteen months as Senior Inspector in the newly-formed Garda Síochána Inspectorate in Dublin, Republic of Ireland. His subsequent professional focus has been on leading policing reform and governance initiatives particularly in post-conflict locations including Colombia, the Democratic Republic of Congo, Sierra Leone, Bosnia and Herzegovina and Somaliland among others. Mark has designed and managed investigative, analysis and operational strengthening initiatives for law enforcement and judicial agencies in Costa Rica, Botswana, Tanzania, Palestine, the Philippines and Egypt as well as most recently in Ukraine. He holds a Post Graduate Diploma in Management Practice from Ulster University and a Master of Arts degree in International Relations from the Norman Paterson School of International Affairs. 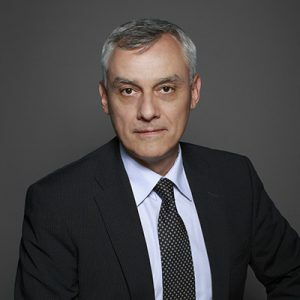 Mark also holds Bachelor of Arts degrees in International Relations from Carleton University and in Political Science from the University of Toronto, and he is a certified United Nations Security Sector Reform Advisor and certified Organizational Assessor under the European Foundation for Quality Management. Since 2013 Mark has been a Visiting Professor at the School of Criminology, Politics and Social Policy, Ulster University, Belfast, Northern Ireland. Professor Mike Hardy is Chair of Intercultural Relations and founding Director of the Centre for Trust, Peace, and Social Relations at Coventry University. In his early career, Mike was trained as an economist and led economics departments at both Leeds and Central Lancashire Universities; he was a Fulbright Scholar in the USA. From 1995 until 2011, initially seconded to UK Government as a senior adviser, Mike was a senior manager with the British Council with responsibilities, among others, for the Council’s global cultural relations programme for intercultural and interfaith dialogue, youth engagement and so-called ‘soft-power’ global strategic partnerships; his diplomatic work with British Council included overseas postings, in Egypt, East Jerusalem and Indonesia. He returned to academic life in 2011 as Professor of Intercultural Relations at Coventry University. Mike is active with UNESCO and the UN Alliance of Civilizations; he is currently lead advisor to the World Forum for Intercultural Dialogue in Baku, the World Peace Forum in Indonesia and directs the RISING Global Peace Forum at Coventry. His Centre at Coventry will host the Academic Council of the United Nations System (ACUNS) from 2018. Professor Hardy has been twice honoured, awarded the OBE in 2001 for his peace-building work in the Middle East, and appointed a Companion of Honour of St Michael and St George in the Queen’s Birthday Honours, June 2010, for his work internationally in Intercultural Dialogue. Mike is a trustee of 3FF the leading interfaith charity in the UK and a board director of the US-based International Leadership Association. His published work reflects his interest in identity: Future: Next Exit (2009) and Future Agenda- the World in 2020 (2010), in innovation and vulnerability: Inclusive Innovation for Sustainable Development (2016). London: Palgrave, and in intercultural dialogue: Dialogue, Conflict and Transformation: Concepts and Context (2017) MUP/UNESCO. Jessica Kingsley Publishers Ltd published his prize winning co-edited volume Muslim Identity in a Turbulent Age: Islamic Extremism and Western Islamaphobia in January 2017.